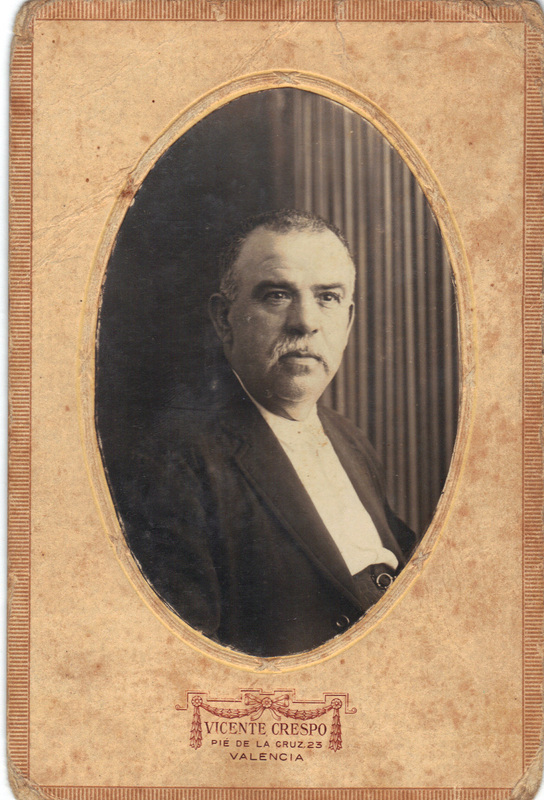 Sylverio Molla, son of Casiniro Molla and B. Blanco, was born about 1859 in Valencia, Spain. 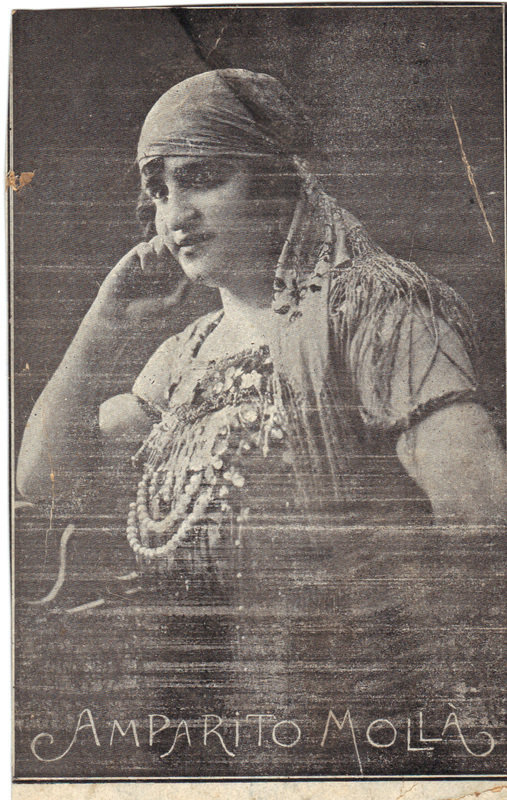 He married Amparo Herreros, daughter of Francisco Herreros and Rita Blanco. She was born in Valencia, Spain. 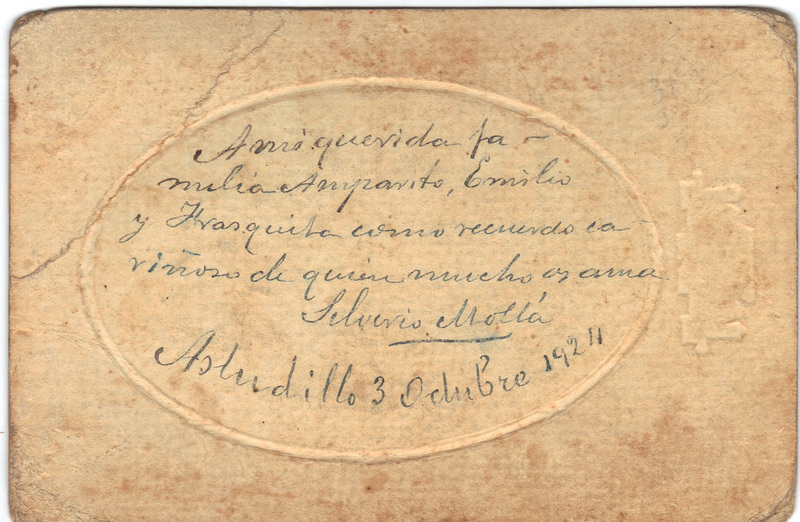 From Manuel Molla's photograph album. 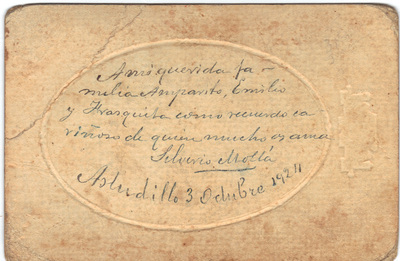 Believed to be his father Sylverio Molla. The reverse side of the photograph of Sylverio Molla.